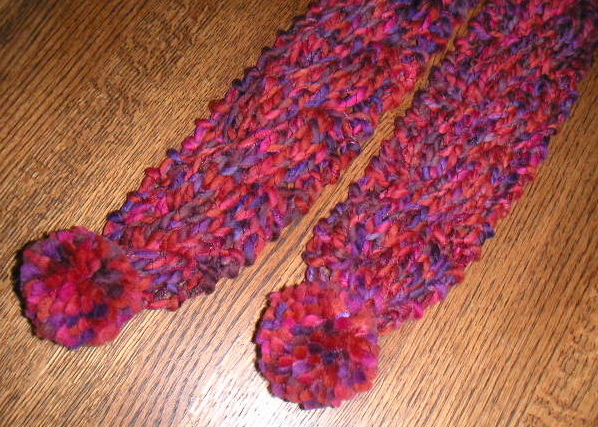 I was planning to sell scarves, in addition to hats, at the bazaar, but was having a hard time deciding on a pattern. Here's what I finally came up with. It's fairly skinny, only 12 stitches wide and about six feet long. It's just one big fat cable with some special knit edging. This scarf was knit with GGH Sierra.